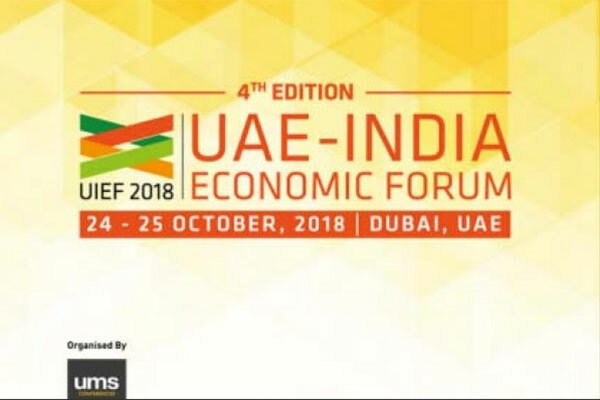 The UAE and India share a vision to project the current $40 billion bilateral trade to $100 billion by 2020, said organisers of the UAE-India Economic Forum (UIEF) taking place on October 24 in Dubai, citing reports. The fourth edition of the annual event, to be held at Habtoor Grand Resort, will bring together over 350 delegates from the UAE and India, reported Emirates news agency Wam. The UIEF is supported by the Telangana Chamber of Commerce and Industry and Gujarat Chamber of Commerce and Industry. The event will focus on benefits of the increased collaboration in investment, trade, infrastructure, ports, banking, finance, and tourism between the UAE and India. The summit promises to provide exclusive insights into critical topics such as investments, tourism, banking and finance, renewable energy, real estate, and technology. Alpana Roy, executive vice president at event organisers UMS Group, said, "We are glad to announce the fourth edition of the UAE India Economic Forum. The Forum is an established platform to discuss new policy framework and explore investment opportunities across industries between the UAE and India. In the recent years both countries have re-energised their bilateral trade relations with the recurring visits of their respective leaders to discuss the future of trade and investments. We are aware that the trading links between the UAE and India has existed since long." "The UAE enjoys broad and comprehensive economic relationship with India based on mutual interest. Another growing area of economic cooperation between two countries is investments. The UAE has invested over $5 billion in India through FDI and foreign institutional investors, which makes it one of the leading investors in India. On the other hand, India is the third largest investor in UAE; Indian companies have contributed to the prominent projects in UAE. With both governments showing clarity in their vision to gain the most from this partnership, the ambitious goal of reaching $100 billion in trade by 2020 now seems achievable," she added.